here were the things i did weeks, days and hours before my travel. (1) itinerary - most important of them all. since 7 days outside philippines especially on countries with very, very minimal english-speakers, planning ahead the best and cheapest route is highly advisable. as much as possible, if you want to make a real budget trip, make a detailed itinerary as far as you can. i.e., every day of your plan has as much as 80% actual time and amount to spend. 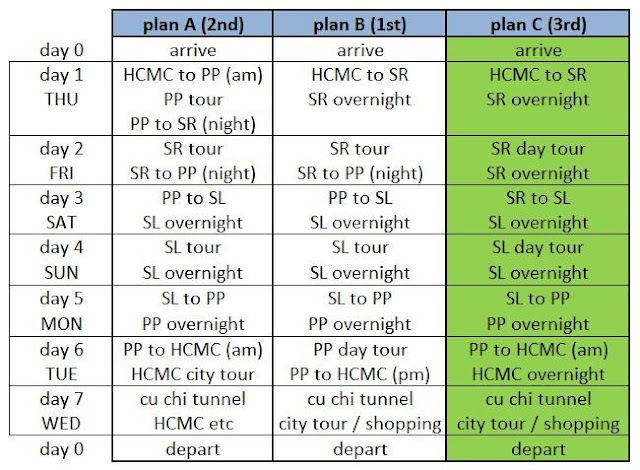 most of the transpo to be use is a tourist bus, please see below table for possible alternative routes that i made. (2) budget - knowing the currency conversions makes the trip more encouraging to acknowledge. since i'm keen into detailed budget itinerary, i've come up to estimated budget of php20,000. 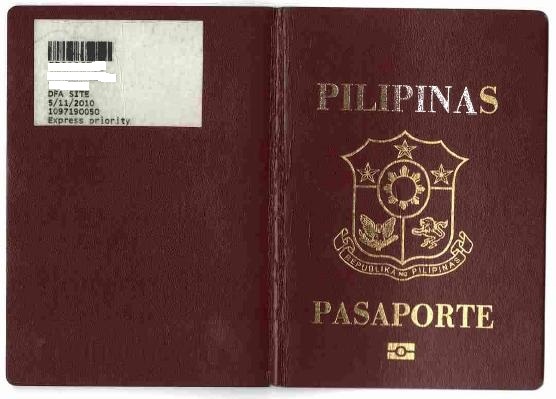 but i've been an avid fan of souvenir items and something adventure especially on international trip, i've put an allowance which totals to php23,000. converting it to usd and vnd to my trusted money changer in our area, php23,000 equates to 451usd and 660,000vnd. please see table below for the approximate conversions of vietnam dong, cambodia riel and lao kips to us dollars and our local currency philippine peso. (3) map - print available maps found in the internet to know somehow where are the locations, your whereabouts info and specifically on the city or province where your interest is. this helps to truly understand the adventure of backpacking. (5) emergency stuffs - bring also the following, this are a must especially if traveling alone. remember that your health is on utmost guard at all times. (6) be mentally and psychologically prepared at all times - who knows how the challenge will gonna be and how are you prepared when it happens. looks like high sierra ang backpack mo sir. isang bag lang dala mo? will do a thailand-cambodia-malaysia naman in november.